Earlier this week, on Tuesday, 25th September 2018, a film about the vicious smearing and attacks on the former vice-chair of Momentum, Jackie Walker, was due to have its premier at Blackburne House, Liverpool. It was to be shown as a fringe event of the Labour conference then being held in that fair city. 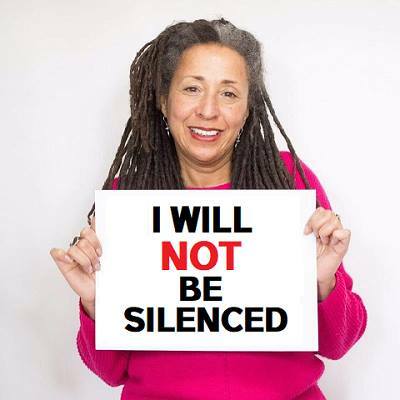 Directed by Jon Pullman, it took its title, The Political Lynching of Jackie Walker, from a blog post written by the redoubtable critic of Zionism, Tony Greenstein, The Jewish Labour Movement and its Political Lynching of Jackie Walker. There has also been a play about her mistreatment, The Lynching. The film was shot in Britain and Europe, and followed Walker’s activities for over a year, as she worked, performed and interviewed her across her kitchen table, including comments from her friends and enemies, in order to get the real issue behind the headlines, and show the woman behind the activist. 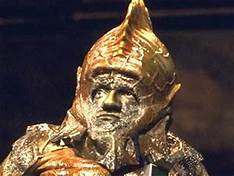 Walker, you will remember, was smeared as an anti-Semite because members of the Jewish Labour Movement hacked into a private conversation she was having on Facebook about Jewish involvement in the slave trade. They took her words out of context and passed them on to that libelous rag, the Jewish Chronicle. They claimed that she had said that Jews were responsible for the slave trade. Walker has made it very clear that this is absolutely untrue. The producers had hoped that it would be shown as part of Momentum’s The World Transformed event, but Momentum refused, banning not just the film but also Free Speech on Israel and Labour Against the Witch-Hunt. The film was cancelled in its new venue after the organisers received an anonymous call claiming that there was a bomb in the building. Mike, Tony Greenstein and Martin Odoni have all written pieces about this. Mike believes that the hoaxer may have been inspired by a piece in the Scum by one Hugo Gye. The Scum had been outraged by Momentum’s refusal to allow their journalists into their event, and bitterly complained. Then Gye wrote his piece in the rag describing the film and play. He called Walker herself a ‘far-left activist who was kicked out of Labour for making anti-Semitic slurs’, and quoted the Labour MP and member of the Israel lobby, Louise Ellman, as saying that it was ‘disgraceful’ for other party members to tolerate banned activists. This nasty piece of character assassination masquerading as journalism also included an image of a flier for the event, giving its date and venue. Perhaps Labour right-wingers like Margaret Hodge and Luciana Berger, with their ridiculous histrionics-for-the-cameras with needless bodyguards, and comparisons to the Holocaust, would like to consider that a real threat is being aimed at the very people by whom they claim to be threatened? There is every chance that this threat was made by one of Hodge’s/Berger’s allies. If that is the case, what will they have to say about that? Greenstein, however, believes very strongly that the hoaxer was probably inspired by Marie van der Zyle (pictured below) and the Board of Deputies of British Jews. Yes, the joke’s getting old now, but it’s still funny. Zyle and the Board have done their level best over these past few years to stop Walker speaking. When Walker and Greenstein spoke in Brighton and Nottingham, the Board phoned the venues beforehand and tried to get them to cancel them. They did the same in 2016, when Walker was due to speak at a church in Bradford, slandering her as ‘an unapologetic Jew-baiter’. They also tried the same stunt to stop her appearing at the Edinburgh Festival. Even if the hoax bomb caller was unknown there can be no doubt that he was doing the work that Marie van der Zyl, Jonathan Arkush and the Board of Deputies have been doing these past two years. Even if their methods were slightly different the objective was the same. To prevent Jackie Walker exercising her right of free speech. Defence of the pernicious and racist Israeli state was the aim of both Marie Van Der Zyle and the hoax bomb caller. Whereas Ms Zyle merely threatened, cajoled and lied to the owners of venues which she contacted, the anonymous person who phoned on Tuesday simply promised to blow people up Israeli style. Both Martin and Greenstein also describe the immense hypocrisy of the Board and the Groaniad, who have tried to make political capital out of the incident by describing it as ‘anti-Semitic’. The Groan’s headline about the incident was so misleading that one Peter C. Burns, tweeting about it, apparently believed that it was the Zionists, who had been threatened. Greenstein points out in his article that the hoaxer did call it a ‘Jewish event’ in his phone call, even though it wasn’t. And it’s rich that the Board has used it to tweet a message about how we must all stand together against anti-Semitism, when they themselves have been whipping up hatred against Walker, libeling her as an anti-Semite. This has resulted in Walker being sent vicious abuse, expressed in foul and anti-Semitic language from other Jews. Because, as Greenstein himself has experienced, Zionist Jews hated Jewish critics of Israel more than gentile anti-Semites. Greenstein also notes the monumental lack of interest in this by the media, with the exception of the Guardian. He observes that if this had happened at a Zionist event, then Luciana Berger, Ellman and Margaret Hodge would all be shouting about how they were being victimized and needed protection. Both Mike and Greenstein write in their articles that far from shutting down interest in the film, this will only make more people interested in it. And Mike asks if her accusers’ case is so fragile, their only answer to Walker and her film is to try to stop it being thrown through bomb threats. It also includes some prize examples of the abuse Walker has received. It’s nasty, racist and viciously misogynist stuff. ‘Lying sack of excrement’ is one of the least foul terms her abusers use. So decent, sensitive souls be warned. On a more positive note, he also includes a brief trailer for the film, which is very much worth watching. It isn’t just in Britain that the Israel lobby is trying to suppress criticism of Israel and its seven decades long persecution of the Palestinians as anti-Semitism. In America, the very Orwellian-sounding Anti-Semitism Awareness Act has been introduced to Congress. And it does exactly the same, but makes it an offence. The ACLU has criticised the act, and sent a letter to Congress protesting it. In this short video of just over four minutes from Secular Talk, host Kyle Kulinski explains how the act will shut down criticism of Israel, and pro-Palestinian and pro-BDS groups at American universities. The Anti-Semitism Awareness Act, recently introduced in Congress, will likely be used to silence constitutionally protected criticism of Israel. Anti-Semitic harassment is already illegal under federal law. The new bill does not change that fact. But its overbreadth makes it likely that it will instead silence criticism of Israel that is protected by the First Amendment. The proposed legislation, for example, defines speech that applies a “double standard for Israel” or denies “the Jewish people the right to self-determination,” as evidence of anti-Semitism. It also directs the Department of Education to consider such speech in its investigations, which could result in a loss of funding for schools. Kulinski begins by criticising the title of the Act itself, comparing it to the Patriotism Act, which similarly took away many of the constitutionally protected freedoms Americans enjoyed in order to protect them from terrorism. Just as the very title Patriotism Act sought to suppress criticism of its contents on the grounds that no American could possibly be against patriotism, the Anti-Semitism Awareness Act does the same, as no decent person would be in favour of anti-Semitism. The clause about ‘double standards on Israel’ means that if students founded a pro-Palestinian or pro-BDS group on campus, their opponents could shut it down by asking them why they aren’t protesting against the human rights violations of Saudi Arabia. If the group also advocated a single state solution to the problem, in which Israel became Israel-Palestine, with the Palestinians enjoying equal rights under the law, including the right of return, this would also be illegal under the terms of the Act, as it would deny the character of Israel as an exclusively Jewish state, and so consequently the right of the Jewish people to self-determination. Kulinski ends his video with a jibe at the self-appointed defenders of free speech on the American right – Ben Shapiro and others – wondering when they are going to protest this violation of it. Of course, they’re not, as they’re only interested in defending the speech they believe in from attack. So Kulinski states that he’s not going to hold his breath waiting for them, because he’d die. You can bet that if this becomes law in America, it won’t be too long before it crosses the Atlantic, and the British and European pro-Israeli establishment will be falling over themselves to introduce something similar over here.